Are natural skin care products worth the extra cost and effort? As natural products become more and more popular, you're probably seeing items with natural labels pop up far beyond the food aisles. In fact, they're becoming increasingly common on the skin care shelves. Is all this concern really justified? Or is it simply a way for companies to capitalize on a trend? If you've been reading my newsletters for any length of time, you know what I'm going to say: the ingredients in your skin care products are vitally important. But they aren't important just for helping your skin look its best. They make a big difference for your overall health as well. Unfortunately, many products on the shelves these days are full of ingredients that can ultimately harm you. They may make your skin look better, but the cost to your health is greater than we formerly knew. There are ingredients in many products that can harm your reproductive system, disrupt your hormones, and even stimulate cancer cells to grow. Shouldn't someone be monitoring this? Unfortunately, that's largely up to the consumer. The Food and Drug Administration regulates very few of these ingredients. The organization states: "With the exception of color additives and a few prohibited ingredients, a cosmetic manufacturer may use almost any raw material as a cosmetic ingredient and market the product without an approval from FDA." That's scary because these ingredients don't just sit on our skin and get washed off in the shower. Your body absorbs them into your bloodstream, where they can wreak havoc on your systems. Researchers have found dangerous chemicals used in cosmetics in people's urine, tumor tissues, and fat. Since the FDA isn't going to help you avoid these dangerous substances, it's up to you to find products formulated without ingredients like phthalates, parabens, coal tar, and formaldehyde. If you check the offerings at your local grocery store, that's easier said than done. Fortunately, you don't have to waste your time. 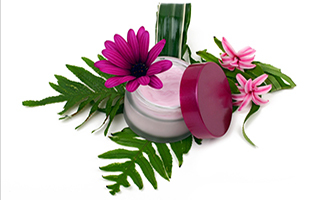 I formulated Système 41 products to be not only effective for maintaining and improving your skin, but also safe for your health. Our goal at Système 41 was to create a luxurious, natural, non-toxic line that delivers results. Your skin will feel healthy and look beautiful without jeopardizing your health. This line represents a new paradigm for skin care — natural and effective.